Matt Wilson's Christmas Tree-o - Jeff Lederer/Paul Sikivie/Matt Wilson (Palmetto) - Recorded in May (undoubtedly a time "when treetops glisten and children listen" in the area near Maggie's Farm Studio), this is drummer Wilson's gift to the world of music. "Winter Wonderland" goes from a New Orleans shuffle to a walking blues, led by Lederer's blowsy, bluesy, tenor sax aided and abetted by Sikivie's fat bass tones and the leader's solid drumming. The soprano sax is the main voice on "The Chipmunk Song" (what? No Alvin?) - Lederer contributes a rollicking solo, the bass and drums get a noisy interlude and the piece ends in humorous disarray. There is an intriguing medley of Albert Ayler's "Angels" paired with "Angels We Have Heard On High" where the traditional tune is given the "free" treatment. Even if Holiday music is not your "bag", this CD is the one gift that keeps on giving. Indulge yourself and then give your friends this most joyous treat. For more information, go to www.palmetto-jazz.com. Now, for a little treat - here's the title track from the new CD by Henry Threadgill Zooid (courtesy of IODA Promonet and Pi Recordings.) Enjoy! Five Pedals Deep - Dan Tepfer Trio (Sunnyside Records) -Young Mr. Tepfer's playing is quite impressive, especially his work with Lee Konitz and on the Rob Garcia 4's "Perennial" (issued late last year on BJU Records.) He does not try and blow you away with technique; melody is his forte. On initial listening to this new release (his first with the rhythm section of drummer Ted Poor and bassist Thomas Morgan), the music sounded highly influenced by the Brad Mehldau and Radiohead but, as the music sunk in, I began to hear so much more. The interaction of the trio, the way Morgan holds the bottom allowing Poor to drive the faster pieces, the manner in which Tepfer inhabits the music, seemingly playing from the inside out. The fire of "Peal, Repeal" comes not only from the bustling rhythm section but also from the way the pianist builds the melody from the repetitive figures in his left hand. The drone in the piano figure on "All I Heard Was Nothing" tugs at the listener, the long right-hand runs over Poor's rampaging drums makes you listen - you want to follow this journey. The ballads are equally affecting; the Satie-like melody line on "The Distance", a piece that slows down as the rhythm gets jagged for a short but melodically generous bass solo, opens like a flower. The program also features 5 solo piano pieces. The brief "Interludes" range from meditations to angular explorations - all were recorded at home and were conceived as exercises. "Body and Soul" closes the program and Tepfer digs right in; the piece seems to become more contemplative as it moves forward, softening slowly on the way to the final chords. "Five Pedals Deep" is thoughtful, playful, at times dark but never dull. This is music to play over and over, allowing the notes to gently rain down upon you. For more information, go to www.dantepfer.com. Simple Songs (For When the World Seems Strange) - Jeremy Siskind (BJU Records) - Siskind is another young pianist who is beginning to make people sit up and take notice. His music is neither brash nor confrontational yet it's not as simple as the title of the program may lead one to believe. As with Dan Tepfer's Trio, Ted Poor is here to incite riotous rhythmic adventures from his seat behind the trap set. Bassist Chris Lightcap is both melodic and forceful; his "swinging" solo on "The Fates" is impressive and his support is flawless. Vocalist Jo Lawry appears on several tracks, from the prayerful "Hymn of Thanks" (sounding like a tune written by her 2010 employer, Sting, save for the bluesy piano solo in the middle) to her wordless vocal duo dance with Siskind on "Six Minute Tango" (that clocks in at under 4 minutes - go figure.) The latter track combines touches of Louis Moreau Gottschalk with Carla Bley and is pure joy. Lawry's lovely voice sounds waif-like and angelic on "Little Love Song", another duet with the richly melodic piano. After Lawry reads the melody, Siskind creates a world that mirrors her innocence and hope. The pianist goes it alone on "The Inevitable Letdown", displaying a left hand that would make Earl "Fatha" Hines sit up and applaud while creating a melody that struts and sashays. The "bonus track" is a jazzy take on "The Candy Man" that is most "satisfying and delicious", a joyous romp with splashy cymbals, a short yet melodic bass solo and a "cool" final section with Poor holding court above the gentle piano chords until the final "zing." I know there are a million-or-so piano trios but Jeremy Siskind (and Dan Tepfer above) proves there is always room for more. A most impressive debut and one only hopes there are many more adventures to come. For more information, go to www.jeremysiskind.com. Enjoy a track from the CD courtesy of IODA Promonet and BJU Records. Economy of writing has never been my strong point but...here is a quick look at several new CDs that are worth your time. "When Lights are Low" is vocalist Denise Donatelli's 2nd CD (first for the Savant label.) Produced by pianist Geoff Keezer, the music is a blend of modern and traditional techniques, all held together by her facile voice. Keezer utilizes a fine rhythm section (bassist Hamilton Price and drummer Jon Wikan), creates intelligent arrangements that features guests such as guitarist Peter Sprague, the flugelhorn of Ingrid Jensen, the vocal arrangements of Julia Dollison and Kerry Marsh, an occasional string section, yet it's Ms. Donatelli's voice you'll remember. Her passionate take of "Don't Explain", the tenderness and resilience in the delivery of Ms. Dollison's "Forward, Like So", and the bright joy of "It's You or No One." After several listens, one begins to notice the subtleties of Keezer's arrangements and the many fine musical contributions. Want to know more? Go to denisedonatelli.com. Allen, Lake and Payton add moody voices to the ominous take of Andrew Hill's "Tough Love" (which he recorded as a solo piano piece on the Palmetto release, "Dusk") - here, it's Revis's rumbling bass and Evans' jagged piano riffs that open up the piece for the braying trumpet and sharp-edged saxophones. It's not all rampage - the trio plus Allen do a lovely take of Fats Waller's "Lonesome Me" with the tenor lines being smooth and blues-drenched. Also, listen to the impressionistic piano of Evans. More impressionism on Paul Motian's "Abacus" where the lead voice is Revis and his melodic bass lines. Tarbaby rocks and rumbles, sways and soothes, and makes one pay attention. Take heed. The latest effort from trumpeter John McNeil and saxophonist Bill McHenry carries the fascinating name of "Chill Morn He Climb Jenny" and opens with a truly fine version of the old chestnut "Moonlight in Vermont." Here, it's the trumpeter who makes an abstraction of the melody (though listen to him at the opening of his solo when he echoes his partner's last line) while the saxophonist approaches it like Lester Young, pushing the sound up in the tenor range. Supported by bassist Joe Martin and drummer Jochen Rueckert, this version is anything but a "moldy oldie." The 4-some romps through pianist Russ Freeman's "Batter Up", a baseball-inspired hit, and, later in the program, dance through Freeman's "bebop rhumba" known as "Maid in Mexico" before high-stepping through his "Bea's Flat." Freeman is ripe for rediscovery and McNeil/McHenry do him proud. Other highlights include the Brazilian-inspired "Carioca" during which the saxophonist takes off on a long, multi-faceted, solo. The quartet also create a jaunty stroll for Wilbur Harden's "Wells Fargo",a bluesy hoot with lots of long notes over a pleasing walking bass line and skipping drums. Delightful music; really, you can just sense that the band had a great time at this gig. Recorded live at the Cornelia Street Cafe in NYC and released on Sunnyside (definitely the label of 2009-10), "Chill Morn He Climb Jenny" is sweet fun for adventurous listeners. For more information, go to www.sunnysiderecords.com. You may have noticed how infrequently I have been posting lately (after my August boast to catch up on the back-log of CDs on my desk) but a new job and family responsibilities have eaten into my writing time. Listening time has actually increased (90 minutes on the road 2 mornings a week plus plenty of time in my home office) but the time to translate my thoughts into sentences (and coherent ones, at that) has decreased (go figure). Instead, here's a short look at several recordings that caught my ear and that are worth your time. Saxophonist Eli Degibri (tenor and soprano) has assembled his "dream" band for his second recording on the Anzic label. "Israeli Song" finds him in the company of pianist Brad Mehldau, bassist Ron Carter and drummer Al Foster. The quartet spent a day in December 2009 at Sear Sound in New York City and it was time well spent. First thing one notices is just how much Foster brings to the program. His escapades around the drum kit on the opening cut, Mehldau's "Unrequited", is not only exciting but masterful. For the saxophonist's "Judy The Dog", his splashing cymbals propel the soloists forward with urgency. Add Carter's melodic yet supportive bass work and the piece is irresistible. There are several duo tracks on the recording, including a lovely tenor/ acoustic bass reading of "Somewhere Over the Rainbow" (Carter's chordal work is quite attractive) and a powerful tenor/drums rendition of Dizzy Gillespie's "Bebop." The title tune pairs Mehldau's expressive piano with the Degibri's melodic tenor - the influence of classical music on both players as well as their love for harmonies makes the piece stand out. For more information, go to www.degibri.com. Michael Pagan is best known as a jazz pianist, an educator and is now the Director of Marketing and Communications at the American Jazz Museum in Kansas City, Missouri. His latest recording, "12 Preludes and Fugues" (Tapestry Records), is a rich blend of classical and jazz influences. Performed by the Colorado Saxophone Quartet, an ensemble known for its extensive forays into traditional classical repertoire, ragtime, and the works of modern jazz composers, this CD is lovely, lively, melodic and filled with variety. Certain pieces "swing" in the manner of an elegant work by Ellington while others have harmonies and rhythms akin to those of the World Saxophone Quartet. One can also hear the classical influences of Bach, Debussy, Satie and others. Forget the influences - it's easy to get lost in the full tones of the multiple reeds and in the melodies that unfold gracefully like large flocks of birds moving through the autumn sky. As one who enjoys Bach's solo cello suites and Beethoven's string quartets, this is music one can return to time and again to discover nuances as well as melodic and/or harmonic connections. For more information, go to www.caprirecords.com. Soprano saxophonist Dave Liebman is in the midst of a long and varied career as a musician, composer, producer, and educator. In these economically challenging times, he also finds time to record with a big band and even is doing several live gigs as well. As opposed to many other modern large ensembles, Liebman supplies the original material but farms out the arrangement and is also not the conductor. His new recording in front of this 18-piece band, "As Always" (MAMA Records), is made up of 6 tracks, 4 recorded at the University of Colorado/Denver in October of 2005, the remainder at the University of Toldeo, Ohio in April 2007. Conductor Gunnar Mossblad (who is a member of the reed section) arranged 1 tracks, trombonist Scott Reeves supplied 2 and 3 came from commissions outside of the band. Liebman solos on each tracks - his soprano work is so impressive, with a tone that is often singing, sometimes keening, rising over the band or riding along with them. The music is filled with surprising turns such as Liebman's wooden flute fluttering over the brass section on "Anubis" followed by a melody that features the oboe of Charles Pillow in duet with the bass clarinet of Chris Karlic. "Phillippe Under the Green Bridge" is a rolling ballad with a long soprano solo supported by the trombone section, then all the brass, all atop Marko Macinko's splendid drum work. The recording closes with the funky, hard-driving, "Turn It Around", with Liebman reading the melody with guitarist Vic Juris. The guitarist gets the first spotlight, riffing over the pulsing synthesizer of Jim Ridl and Macinko's drum barrage. The leader pushes the rhythm section even harder and they respond in kind. "As Always" is an hour well-spent with Dave Liebman and his Big Band. There are no false notes, no lazy arrangements, no "treading water" beneath the soloist - instead, the music is exciting, challenging yet approachable, with Liebman playing inspired, modern, music. To find out more about this CD, go to www.daveliebman.com. Jason Crane interviewed Dave Liebman for the 200th episode of "The Jazz Session" and it's well worth listening to - go to http://thejazzsession.com/2010/09/16/the-jazz-session-200-dave-liebman/. Liebman is listed as the co-producer (and also appears on 4 of the 8 tracks) on "A New Face" (jayDell Records), the debut recording from pianist/composer Bobby Avey. The 25-year old first worked with his co-producer on the 2006 "Vienna Dialogues" but went back to finish school. Well, he may be "A New Face" but he's a mature composer, creating aural landscapes that showcase his fine, two-handed, piano style and intelligent arrangements. His rhythm section - Thomson Kneeland (bass) and Jordan Pearlson (drums) - is an equal partner in the music, with the majority of the pieces built upon strong piano lines and melodies that use the bass and drums as counterpoint as well as support. "Late November" opens with a circular piano line (played unaccompanied) until Pearlson announces his entrance in dramatic fashion. The piece rises out of Avey's active left hand, the trance-like figures he plays even as his right hand shares the melody with the bassist or solos over the propulsive drums. The rhythmic fire that introduces "Delusion" only lets up for a mid-song reverie but the majority of the song races forward with dispatch (even the bass solo never lets up.) The cuts that feature Liebman include the mysterious "In Retreat" (Pearlson's percussion is stellar - even sounds as if he utilizes a tambourine) which rises in intensity throughout the soprano sax solo and then moves quietly to its close. He and Avey play without the rhythm section on the Satie-like "Influence", a stunning ballad that starts slowly, also rising in intensity into the middle, with piano notes raining down on Liebman as he cuts through them with piercing phrases. The final section of the song reverts to the slow pace of the opening - here the musicians seem to be caressing the original melody, letting it down easily to the close. Bobby Avey may remind some of Vijay Iyer and Jason Moran, pianists who infuse their melodies with rhythmic drive and many harmonic possibilities (John Escreet is another young musician cut from that same broad cloth.) This music has great drive, filled with surprising turns, fine solos, and savvy interplay. Go find this CD, live with the music for a while, and it will give you many rewards. For more information, go to www.bobbyavey.com/. 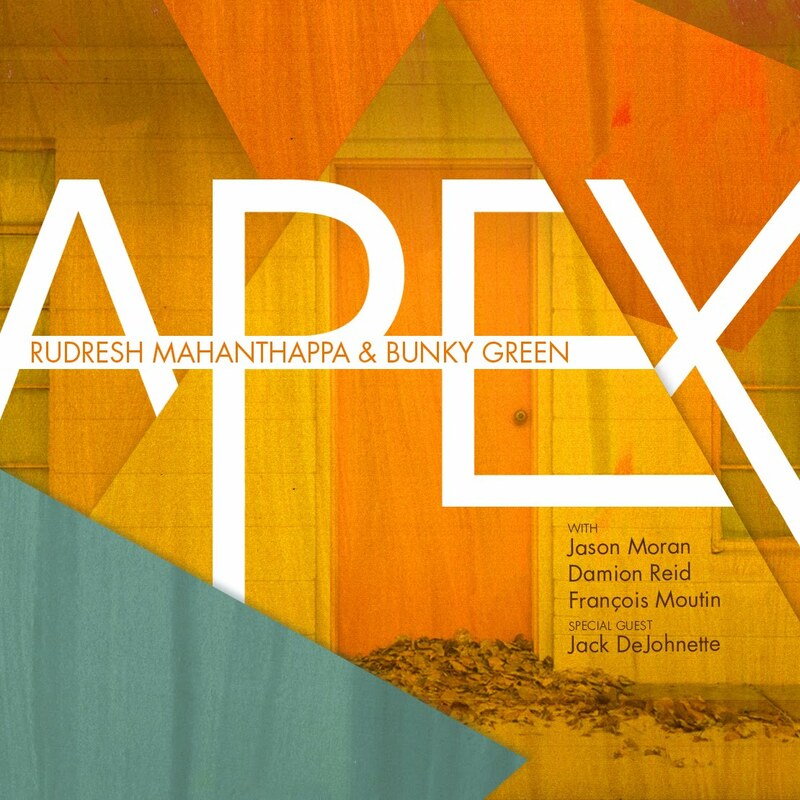 Apex - Rudresh Mahanthappa & Bunky Green (Pi Recordings) - What a treat! The 75-year old Green and Mahanthappa, 36 years his junior, playing with such verve, fire, and sass. Listening back to some of Green's early recordings as well as his 2008 "Another Place" recording, one realizes he plays without allegiance to one particular style or genre. Meanwhile, Mahanthappa's approach to the alto on this CD shows a style that blends the understanding of Indian music with the fiery playing of Charlie Parker (throughout this program, there are phrases that are incredibly fast and quite articulated. The iTunes edition features 3 extra tracks including another alto/drum dialogue (I believe it's Reid with Green), a 2-alto dialogue and a thunderous alto/drums dialogue leading the quintet in for a stunning final piece (there's also a fine piano/alto section for Moran and Mahanthappa) and a boppish drive to the close. 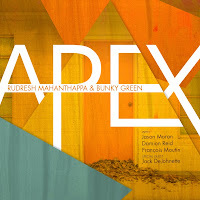 Here's the deal - "Apex" is a great collection of contemporary creative music that should excite listeners. It's most definitely recording, a group that one should see live and bask in the musical fire. For more information, go to www.pirecordings.com. 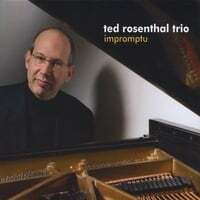 Impromptu - Ted Rosenthal Trio (Playscape Records) -One does not always think of Brahms, Chopin, Schubert, Tchaikovsky, Schumann, Bach and Puccini when one thinks of jazz but, here, pianist Rosenthal, bassist Noriko Ueda and drummer Quincy Davis romp, glide, and sway through 10 cuts by those composers listed above. The pianist, who arranged all the tracks, took the themes out of their natural habitat placing squarely (better yet, hip-ly!) in a jazz setting. The lovely melody of Puccini's "O Mio Babbino Caro" is given a graceful arrangement, allowing the beauty of the line to rise and fall on a easily swinging rhythm line. Rosenthal displays his prodigious technique on J.S. Bach's "Presto" (from the composer's first violin sonata), riding happily atop the impressive cymbal work of Davis and Ueda's driving yet melodic bass lines. Chopin's "Nocturne in F-Minor" may remind some of the sensitive ballad work of the Bill Evans Trio. Robert Schumann's "Traumerei" is subtle, sweet and gentle, with a loping bass line and soft yet propulsive drum work. Davis also shines on "Theme from Symphony No. 5" (from Tchaikovsky), setting the sprightly pace after the quite intro, giving the tune the feel of a Bud Powell piece. "Impromptu" is music that celebrates classic melodies and the rhythmic influences of jazz and blues without sacrificing creativity. If the Trio's treatment of Tchaikovsky's "June" doesn't make you smile, you just might not be alive. For more information, go to www.playscape-recordings.com or www.tedrosenthal.com. A Wallflower in the Amazon - Darrell Katz & The Jazz Composers Alliance Orchestra (Accurate Records) -In 1985, Darrell Katz and several other Boston-based composers began the Jazz Composers Alliance to help present their works in public - a big band was formed and, over the years, the JCA has presented the works of over 15 resident composers performing their own works as well as the works of guest composers Muhal Richard Abrams, Marty Ehrlich and others. The Orchestra has released 7 Cds in its lifetime as well as 1 with works for a saxophone quartet. This new CD, the first for composer Russ Gershon's Accurate Records label, is the 3rd of the last 4 to feature (mostly) works by Katz. This is a sprawling program, with Katz showing his love and respect for the blues, for Duke Ellington and Julius Hemphill as well as showcasing the poetry of his wife Paula Tatarunis. 11 of the 12 tracks feature the 19-member JCAO, plus guests Mike Finnegan (organ, vocals on 3 tracks) and Taki Musoko (marimba on 2 tracks) with the final cut," The Red Blues", featuring the JCA Saxophone Quartet with the Orchestra's vocalist Rebecca Shrimpton. The program opens with Ellington's "I Like the Sunrise" (from "Liberian Suite") and, from the opening section, one hears creativity of Katz's arrangements. This version, like the original, starts slowly yet, when Shrimpton heads into the main vocal, the tempo picks up speed and the fun begins. The sweep of the horns, the varying tempi, the smart solos (I chuckled when Bill Lowe's boisterous tuba solo began) and the sparkling call-and-response for the vocalist and Orchestra near the end of Part 1, keeps the listener on the edge of the seat. The title track ( one of 4 2-part compositions) brings Ms. Tatarunis's poetry front and center - it's fun to hear how Katz decorates the words, illustrating the story of a city-dweller's journey to the heart of the Amazon with graceful melodies and harmonies. Part 2 is a more mysterious, with a modern classical feel, noisy interludes, and a closing section that glides out quietly. Finnegan struts in on pounding drums and blaring brass for Willie Dixon's "Hoochie Coochie Man" - here, Katz has fun with the traditional blues form, allowing the bluster and humor of the lyrics to set the pace for the body of the first part. The long solo section features Natalie Dietrich's low-down vibes and Norm Zocher's hard-edged guitar solo. That leads in to Part 2, titled "All Bark and No Bite"; the tempo picks up a bit for a section where Jim Hobbs' wild alto phrases get wrapped up with Lowe's tuba work before a return to Dixon blues and Finnegan's "testifying." There's more blues, a "lowdown" version of Big Maceo Merriwether's "Tuff Luck Blues" (updated lyrics from vocalist Finnegan. There's the humorous and very swing-filled "Visiting My Aunties" in which Ms. Shrimpton sings Ms. Tatarunis's unique lyrics dedicated to her family, including Aunties "Pathy", "Thesis", "Social" and others, remembering to pronounce "Auntie" as "Anti." The track features a break for Lowe's tuba, Alan Chase's alto sax, Melanie Howell's baritone sax and Bob Pilkington's trombone that is an absolute delight. The final 2 tracks feature a slyly humorous (and quite short) "For Our Sins", dedicated to a person who just has to have the spotlight, and the Sax Quartet/Shrimpton reading of the lyricist's dedication to Julius Hemphill. Compared to other JCAO recordings, the sound quality here is impressive, the sessions taking place in WGBH's large Fraser Recording Studio (save for the last cut which comes from a 1999 session.) "A Wallflower.." is a lot of music to take in in one sitting and the lyrics take some time to decipher (save for the blues tunes.) But, let this music and the impressive arrangements take hold in your mind - you'll catch the nuances in the work of the musicians as well as Ms. Shrimpton's excellent vocals, begin to understand the humor of the poetry and enjoy the intelligence of Katz's aural landscapes. To find out more, go to www.jazzcomposersalliance.org.